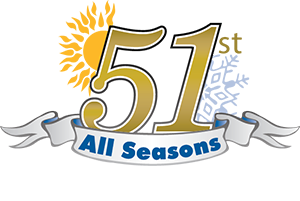 If you need a chiller for your Long Island business, you can count on All Seasons Air Conditioning. We provide air-cooled chiller repair, maintenance and installation, and we want to help your business with your chiller needs as well. Our team of professional commercial HVAC technicians wants to help you get the chiller service you need promptly, so you can get back to business quickly. If you need a new chiller, All Seasons Air Conditioning is proud to offer the Carrier® chiller for your business’s needs. Our technicians will be happy to provide you with professional installation services. What’s more, our staff has been specially trained to provide complete, expert chiller repair and maintenance service on any make or model of chiller on the market today, so you can count on prompt, professional assistance.